A supplementary website for students and instructors is available. 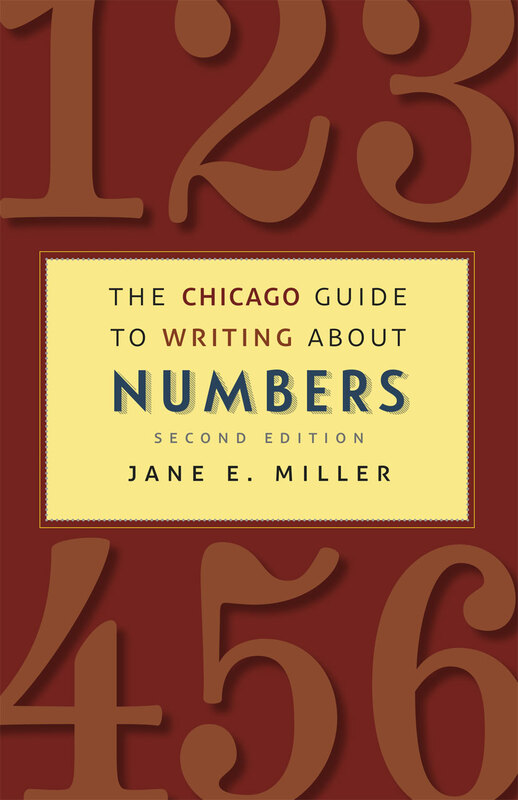 Earning praise from scientists, journalists, faculty, and students, The Chicago Guide to Writing about Numbers has helped thousands of writers communicate data clearly and effectively. Its publication offered a much-needed bridge between good quantitative analysis and clear expository writing, using straightforward principles and efficient prose. With this new edition, Jane Miller draws on a decade of additional experience and research, expanding her advice on reaching everyday audiences and further integrating non-print formats. Miller, an experienced teacher of research methods, statistics, and research writing, opens by introducing a set of basic principles for writing about numbers, then presents a toolkit of techniques that can be applied to prose, tables, charts, and presentations. Throughout the book, she emphasizes flexibility, showing writers that different approaches work for different kinds of data and different types of audiences. The second edition adds a chapter on writing about numbers for lay audiences, explaining how to avoid overwhelming readers with jargon and technical issues. Also new is an appendix comparing the contents and formats of speeches, research posters, and papers, to teach writers how to create all three types of communication without starting each from scratch. An expanded companion website includes new multimedia resources such as slide shows and podcasts that illustrate the concepts and techniques, along with an updated study guide of problem sets and suggested course extensions. This continues to be the only book that brings together all the tasks that go into writing about numbers, integrating advice on finding data, calculating statistics, organizing ideas, designing tables and charts, and writing prose all in one volume. Field-tested with students and professionals alike, this holistic book is the go-to guide for everyone who writes or speaks about numbers.